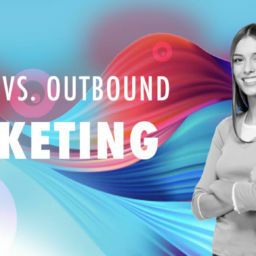 Inbound vs. Outbound Marketing - you can use in WBT marketing. Inbound and outbound marketing are two different types of strategy in communicating with a customer; they are treated as complementary by many brands. What is Inbound and outbound marketing based on? In this article, we try to answer these, and other questions. Still not so long time ago, Internet surfers were attacked by huge, persistent advertisements appearing nearly every time they visited a site. 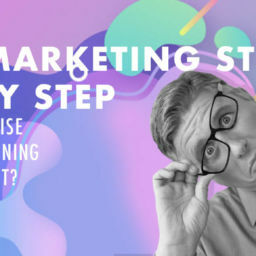 It soon turned out that this approach was ineffective – people not only started ignoring these types of advertisements; they simply became irritated and, as a result, strongly discouraged towards the advertised brands and products. Such were the beginnings, which evolved along with the Internet. Outbound marketing – a type of promotion, in which the content “pursues the recipient” and “attacks them” in places, where they come with completely different purposes and certainly not iwith the purpose to spend time with advertisements. Outbound marketing is a classical strategy, which has been used by companies since ever. It was already used, when the term “marketing” was not even common. Entrepreneurs tried to encourage customers at that time to purchase their products and services. Printed advertising materials – one of the oldest forms of communication between companies and customers. It appeared at the same time as the printing press. The most frequently used formats in this area are print ads and direct marketing. TV and radio advertisements – advertisements were changing along with the development of technology. From the very beginning, companies have tried to make use of radio and TV potential. After the wave of radio popularity came time for moving images on television. Telemarketing – the development of marketing is concerned with the constant search for tools, which will make reaching customers quicker, less expensive, and more precise. One of the easiest forms in this regard is telemarketing. Outdoor advertising – although the first advertisement boards had already appeared at the end of the nineteenth century, billboards have not become popular until the beginning of the twentieth century. Today, they are an inseparable element of the landscape, not only the urban one. Inbound marketing – an opposite strategy to outbound marketing, which is already passing. While the old model was focused on persuasion, the new one addresses the informative needs of the customers. The activities here are less aggressive and more personalised; they are based on building long-lasting relations with satisfied customers. Simply speaking, inbound marketing is a strategy with the purpose that you be found by customers. The main idea of this strategy is that customers come, because the company has information, expert knowledge, and products, for which there is demand. Content marketing – a strategy regarding the promotion of companies, products, and services by the help of valuable content. Here, it is more information and education that counts, rather than persuasion. Nowadays, customers expect interesting articles, analyses, reports, and films rather than advertisements. Creating video materials, e-books, Internet newspapers, and other interesting content, encouraging you to leave your contact details, such as e-mail address, which is then often used for both types of marketing. SEO (Search Engine Optimisation) – the optimisation of an Internet site and its content in such a way which will allow you to achieve the highest possible position in Internet search engines. Activity in social media (Facebook, Twitter, Instagram, LinkedIn, etc.) is a completely separate Internet space nowadays. By setting up a profile on one of the services, you give users a chance to find your company. Active presence in social media is a way to build long-lasting relations with your customers. However, this only works only when you know the media well, i.e., when you are aware, who visits these services, what information they expect, what type of format is expected in a given place, etc. Email marketing – although it is one of the oldest marketing forms on the Internet, it is still eagerly used by companies. By the help of a newsletter, you can quickly reach a precisely selected group of recipients with a properly chosen personalised message in the right time in a cost-effective manner. Comparing the activities comprising inbound marketing and outbound (traditional) marketing shows how different they are and, at the same time, how well they complement each other. Customers expect valuable content from companies, rather than standard spot advertisements pushing them into making a purchase. They want the company to intrigue them somehow and make them interested with its history. It is the clients who are to feel the desire to become a member of the great family of the lovers of the brand and a part of the mutual history. Inbound marketing is an Internet domain. Today, for most social groups, this channel is the main source of information about the world and brands. In the future, it will probably dominate other media, although we cannot talk about the death of radio and television yet. In the age of huge “information noise” and the throng of ads in the social environment, outbound marketing has lost its original efficiency. That does not mean, however, that this strategy is completely ineffective in marketing communication nowadays. Many global concerns treat both strategies as complementary. They carry out, to the same extent, activities regarding outbound and inbound marketing. Outbound marketing is a very costly venture. In this regard, most tools are reserved for international enterprises with considerable advertising budgets at their disposal. Small companies cannot compete with them; they have the cheaper option, namely, inbound marketing. Huge brands also fight by the help of outbound marketing, but this form of promotion is not optimal for all companies. Why? It does not target specifically potentially interested target groups. It is not measurable, so we cannot optimise it efficiently to achieve a higher ROI (Return on Investment). Marketing is awareness that the customer and their expectations are the most vital elements of business, as well as the process of identifying and satisfying the needs of the customer, which results from this awareness – at the same time, the profit of the enterprise and the continuity of its functioning needs to be ensured. Marketing is active commerce, responding to the needs of the customer, attempting to notice their hidden needs, make them aware of them and awaken these needs, as well as create and satisfy them. Inbound marketing is the least offensive form of informing and it is in accordance with Seth Godin’s concept of permission marketing, the goal of which it is to build a long-lasting relation with the client, who is aware of the brand and engaged in communication. I found u on Twitter and the graphics of this article really caught me and I had to click, but I do not regret. An easy way and clearly explained article, thank you. I am very happy to hear that you liked our article, even nicer, that the graphics caused that you wanted to read it. Thank you for writing to us! Too great to see this so resourceful post!